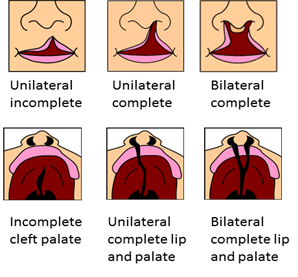 Cleft lip and palate, a congenital condition that happens in the first three months of pregnancy affects the upper lip and the hard and soft palate of the mouth. It is one of the most common birth anomalies in the world. Approximately one in every 700 babies is born with a cleft in North America. Despite extensive research about cleft lip and palate, its’ causes are still unknown. Celebrate your birthday with Transforming Faces! We’ve partnered with ECHOage, a birthday party website that helps kids give to charity while getting great gifts. You can also set up a giving page through Canada Helps. Need some ideas? Check out how a few of our champions have raised awareness and funds.